① We Don't Have to Choose Between Abundant Food and Healthy Landscapes-- We Can Have Both! We're told by the food-system status quo that we have to choose between boutique farms raising food in a way that’s kind to the land or industrial farms raising lots of food with fertilizer, pesticides, and high-tech seeds. But this is a false dichotomy, says author Kristin Ohlson: we can have lots of food and heal landscapes at the same time. In a lively talk that’s easy on the layperson’s ear, Ohlson discusses “regenerative agriculture,” an approach to farming that mimics natural processes instead of thwarting and fighting them with chemicals and machinery. She uses examples from farmers around the world who have discovered how to grow abundant food without chemicals and tilling—and have seen their profits rise along with the health of their land. Even if we stopped all fossil-fuel emissions today, the legacy load of carbon dioxide in the atmosphere would continue to warm the planet for dozens if not hundreds of years. We’re cooked if we don’t draw down some of that CO2 and lodge it safely somewhere. But where? In the soil! There are many expensive, high-tech schemes for removing and storing atmospheric carbon, but we already have a brilliant low-tech solution: plants, which remove carbon dioxide from the atmosphere through photosynthesis and turn it into a fuel to power their own growth and feed their microscopic partners in the soil. Ohlson discusses how farmers around the world practice “carbon farming” to both remove CO2 from the atmosphere and build healthy, carbon-rich soil. Some scientists say that increasing carbon in the world’s soils by even a tiny percentage could halt the annual rise in atmospheric CO2. 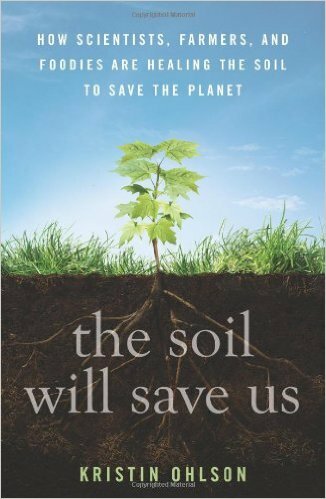 Soil is truly the last frontier. Most of us haven’t a clue as to what’s going on under our feet, but scientists are increasingly turning their attention to the incredible biodiversity in the world’s soils. In every teaspoon of healthy soil, there are billions of microorganisms, and they are critical to helping plants find nutrients and water, fight pests and disease, and communicate with each other. Ohlson brings the dark kingdom of the underworld alive, and you’ll never look at the ground the same way again. 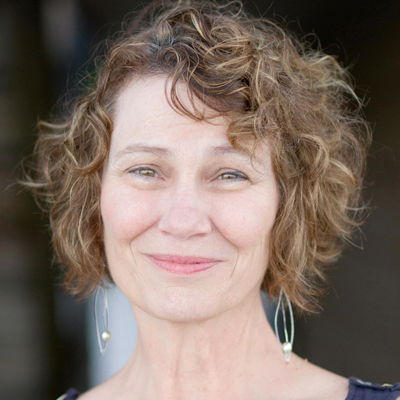 Kristin Ohlson is a freelance journalist, author, essayist and fiction writer. Her articles have spanned many subjects, from zebrafish bioengineered to glow in the presence of pollutants to abandoned coal mines that catch fire and burn for decades to feminist philanthropy to the biology of moral decision-making to watching Indian soap operas with a roomful of men in Kabul. Over the last few decades, Kristin has written for many publications including the New York Times, the Christian Science Monitor, Utne, Salon, Smithsonian, Discover, New Scientist, Gourmet, Eating Well, Experience Life, Entrepreneur, Preservation, American Archaeology, Ms, Oprah, More, Poets & Writers, Tin House, the Cleveland Plain Dealer and more.